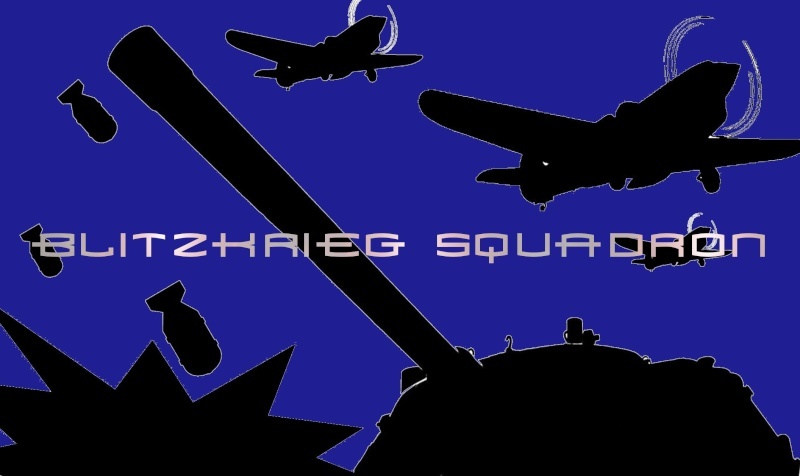 You must be a member of the gaming clan, Blitzkrieg Squadron, to post in this forums. Please log in or register your account. Check out the lists of active or past contests that are taking place! Feel free to participate, some contests require people to sign up. Help out the clan by donating money toward keeping the servers active. Money goes to servers, tournaments, and prizes. $5 minimum is required, and all donations appreciated. Any general discussions you would like to post? Feel free to start a topic here. Recent polls of certain clan related topics will be placed here. Got any exciting games coming out that you would like the clan to invest in? Feel free to post a link in this forum to the games official site, why you want the clan to purchase the game, and what you have learned about the game that made you passionate about it. Check for any upcoming clan events here! Remember, events are usually limited and the frequency of attendence will lead to prizes of many sorts. A collection of forums pertaining to Left 4 Dead 2. Join the forum discussions about Star Trek Online with friends in the clan. A fleet will be formed upon the game launch. A racing sumulation game that the professionals use as a training system! It's the most realistic and sponsored racingsim to date. Savage 2 is free, and an amazing game. Clan events will be posted for the game, along with the potential of a clan server operated by Poketummy and g047r4p3r. Blizzard's new installment to the Sci-Fi RTS that has dominated the charts in the late 90's. That's right... it's been 12 years. Post screenshots of epic fails from Clansmen!